Since Mother’s Day is this month, I thought I’d choose a Monthly Special that would also double as a nice present for your Mum. Hence: the Custom Initial Necklace. 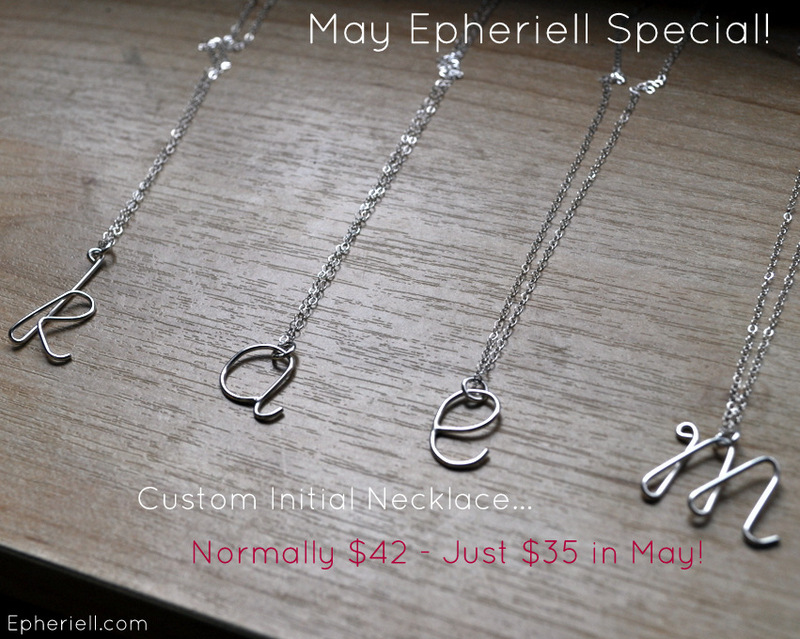 A simple, dainty custom necklace with handcrafted letters made from sterling silver. I make each letter from 1mm sterling wire. These are always fun to make, and make a very sweet present. I can, also, put more than one initial on a necklace. Each additional handmade initial is $25. I can either hang them so they overlap, or actually suspend them along the necklace in a row (so, I guess you could spell out a word this way, too!). Have a peek at it in the shop right here.